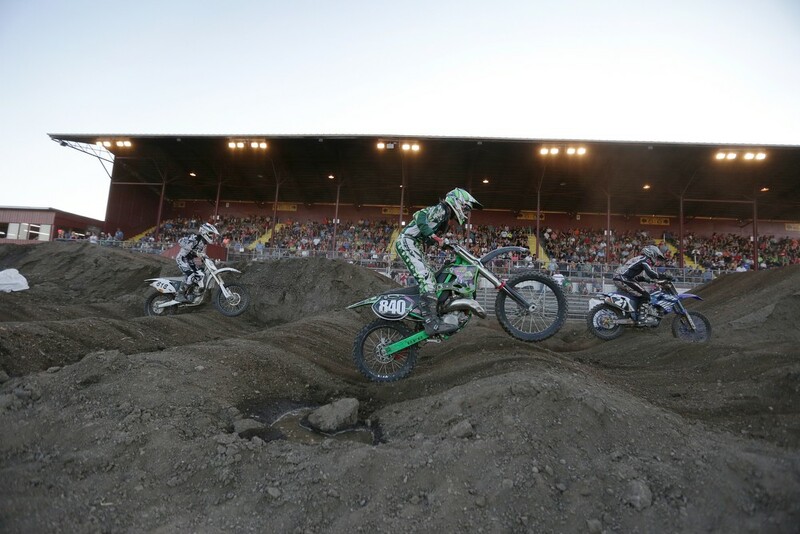 The 14th annual Moto X arena motocross, held at the Kootenai County Fairgrounds, featured many local professional and amateur riders, drawing from as far away as Alberta, Canada and California. Riders as young as 5 raced 50 cc bikes while older teenagers and grown ups rode bikes 250 cc and bigger. The Metal Militia performed freestyle tricks while Spotlight Cheer entertained spectators with their acrobatics. 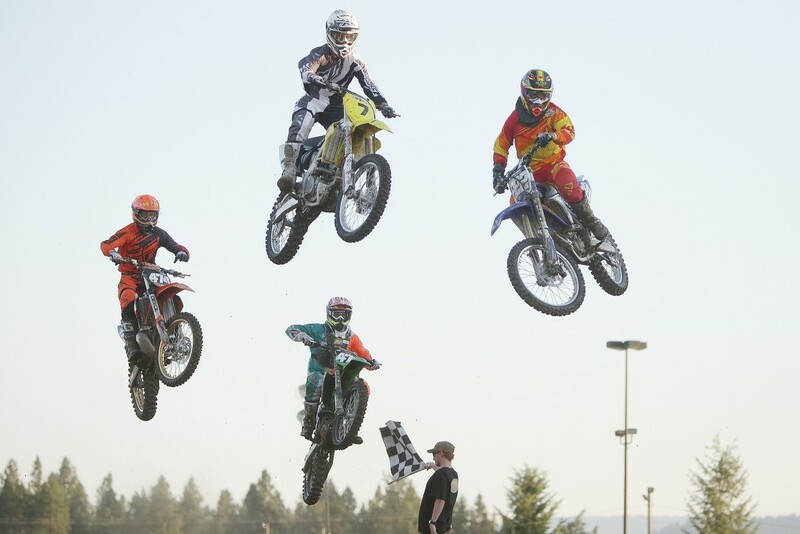 45c cc pro riders Greg Crater (153), from Renton, Wash., Collin Jurin (476), from Monroe, Wash., and Jake Anstett (474) from Port Angeles, Wash., take a jump in a Moto 1 race. 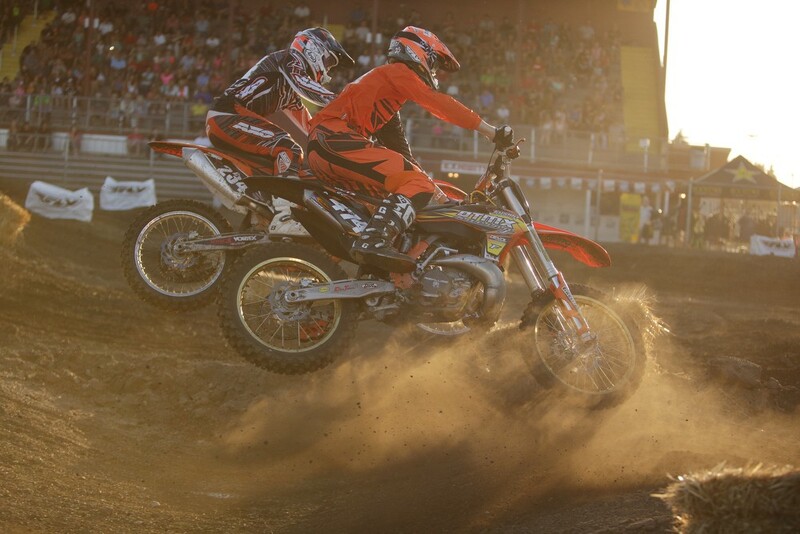 Beginner 250 cc riderMichael Reid, right, and his father Wayne, both from St. Maries, Idaho, walk the course before the 14th Annual Moto X. 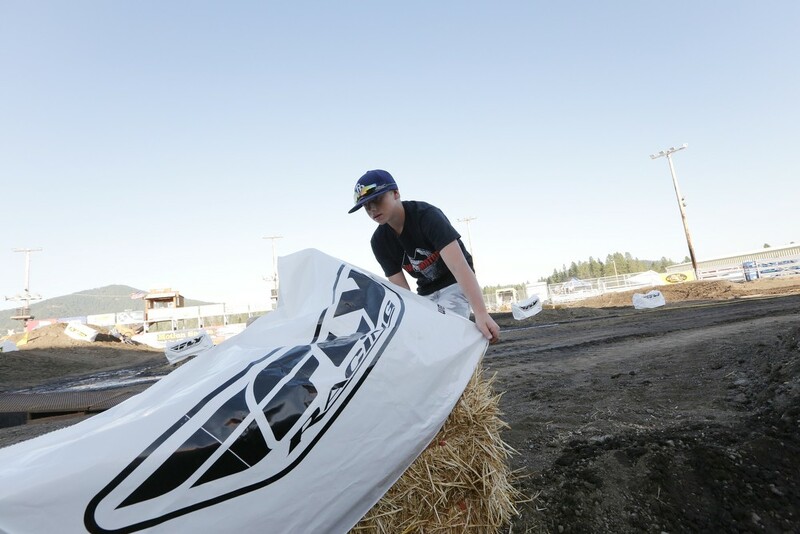 12 year old Mayson Whittaker places a sponsor cover on a hay bale before the 14th Annual Moto X. 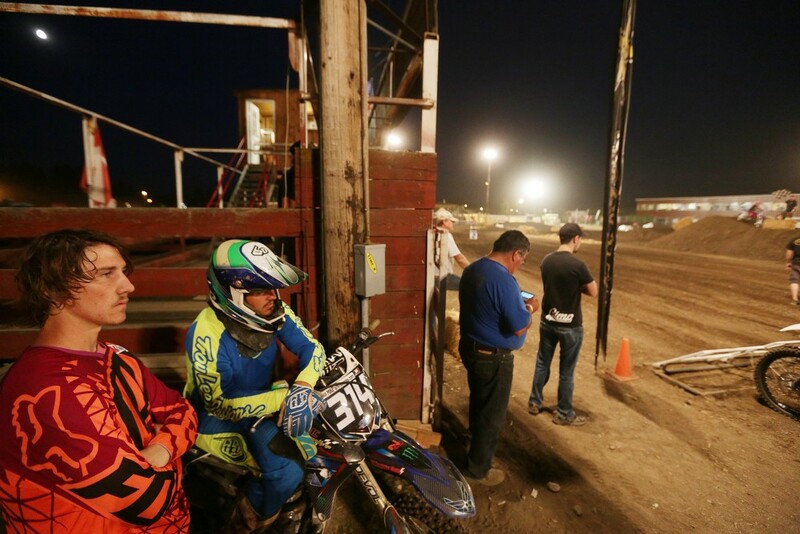 250 cc pro rider Jake Anstett, from Port Angeles, Wash., does last minute tuning on his KTM before the 14th Annual Moto X.
Lagrange, Calif. 250 cc pro rider Brian Alquist, left, waits to enter the track before a Moto 1 race. 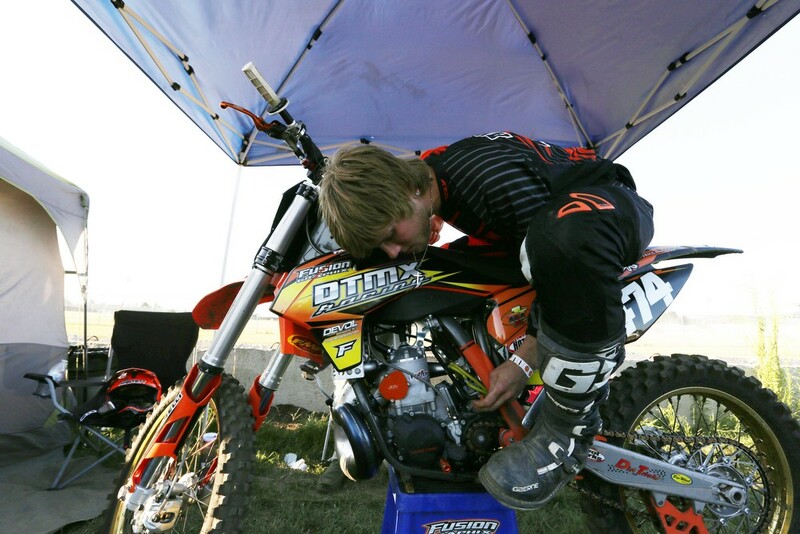 Sultan, Wash. 250 cc pro rider Ryan Abrigo stretches before a Moto 1 race. 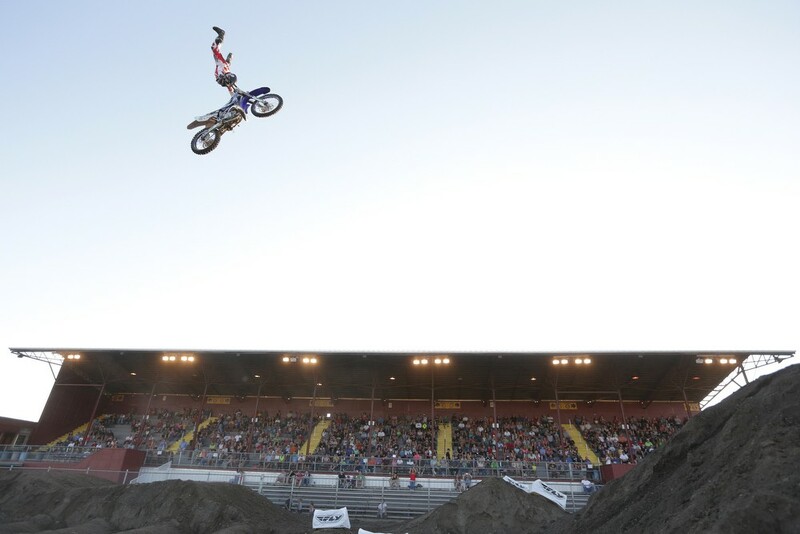 Metal Mulisha freestyle rider Jimmy Hill performs. 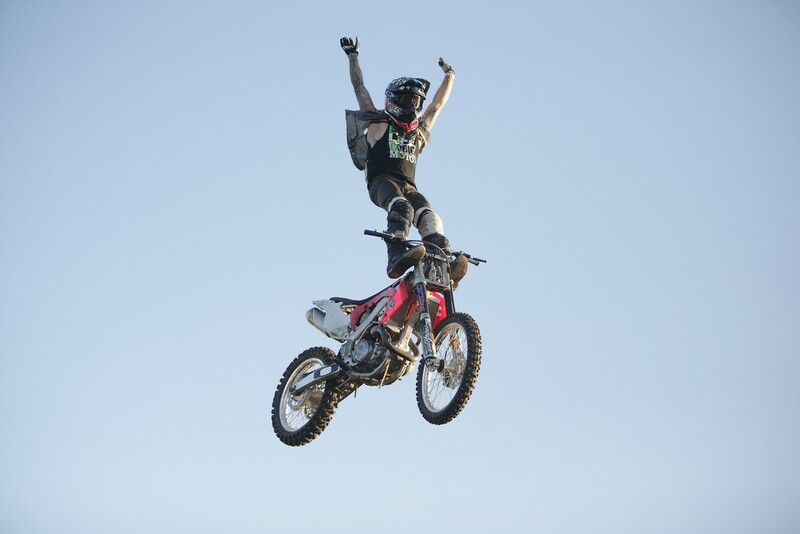 Metal Mulisha freestyle rider Drake McElroy performs. 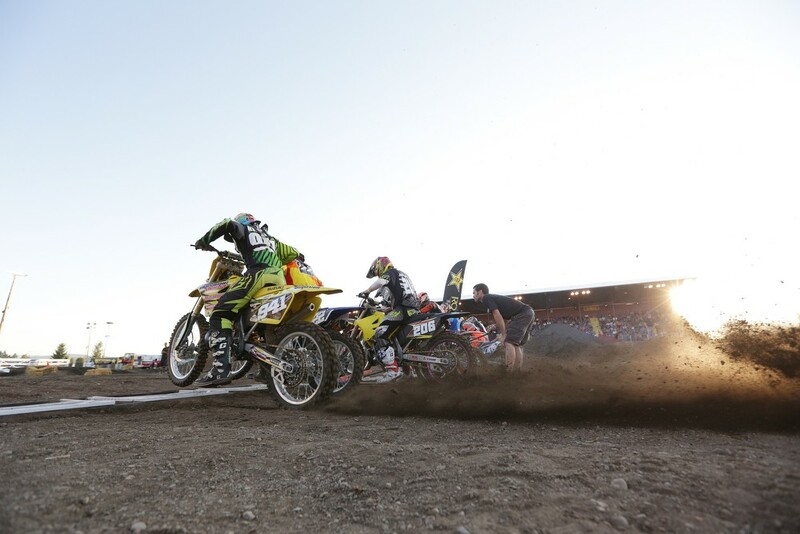 250 cc pro riders start a Moto 1 race. 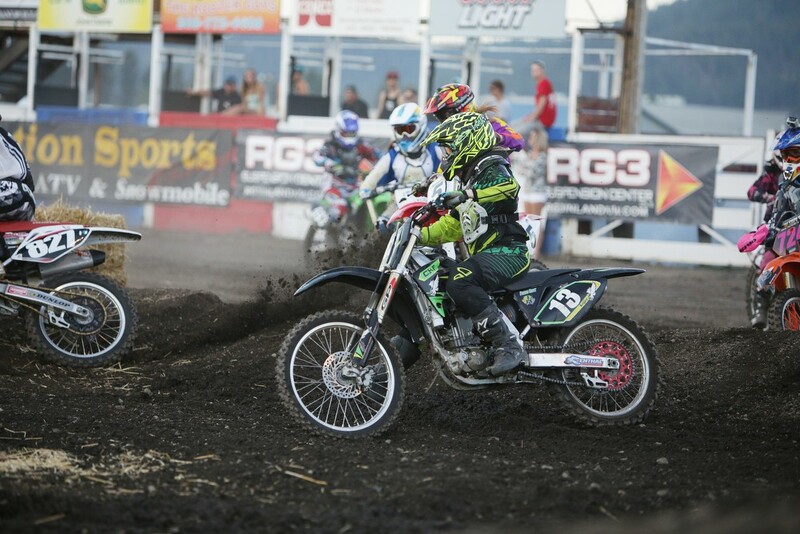 250 cc pro riders Jake Anstett (474), from Port Angeles, Wash., and Brian Alquist (234), from Lagrange, Calif., take a turn in a Moto 1 race. 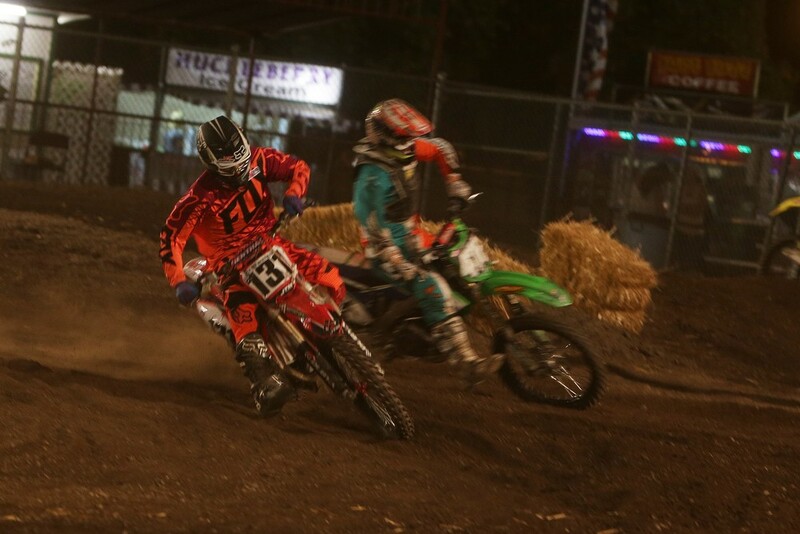 250 cc pro rider Chris Howell (222), from Spokane Valley, Wash., edges out a win against Cole Siebler (7), from Emmett, Idaho in a Moto 1 race. 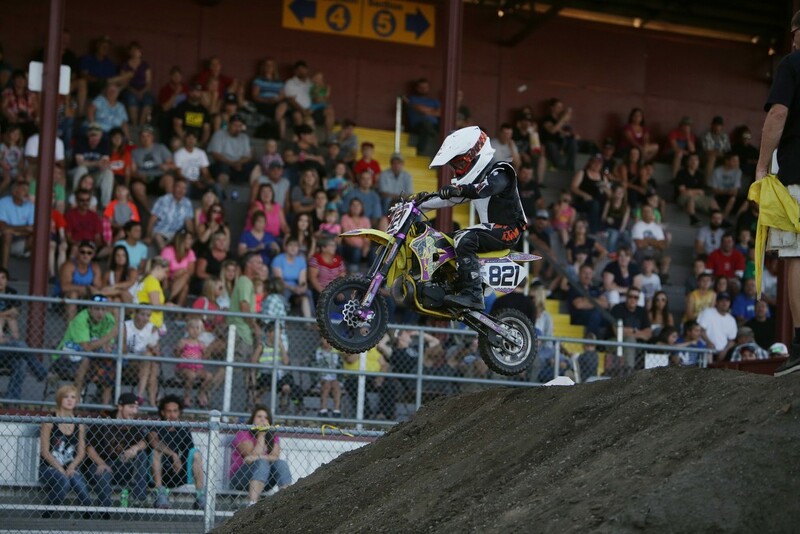 7 year old 50 cc amateur rider Wyatt Storey (821), from Cataldo, Idaho takes a jump in a Moto 1 race. 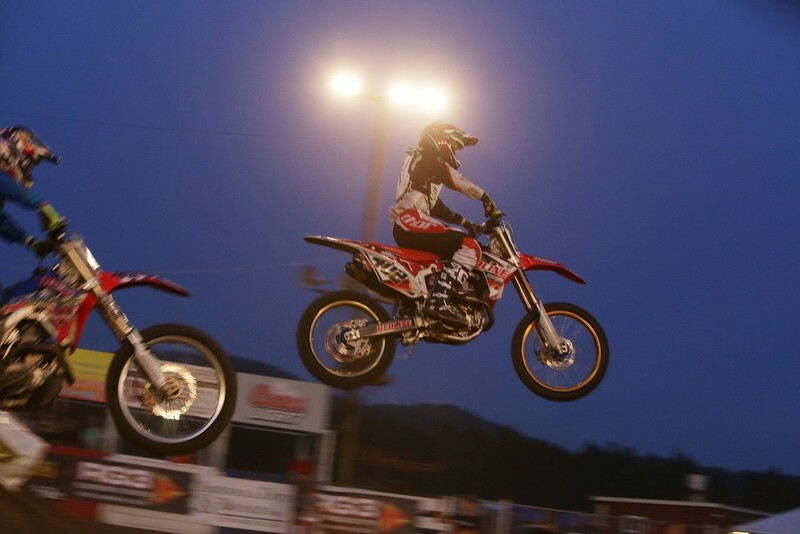 17 year old 250 cc beginner amateur rider Drew Russell (840), from Rathdrum, Idaho, takes a jump in a Moto 1 race. 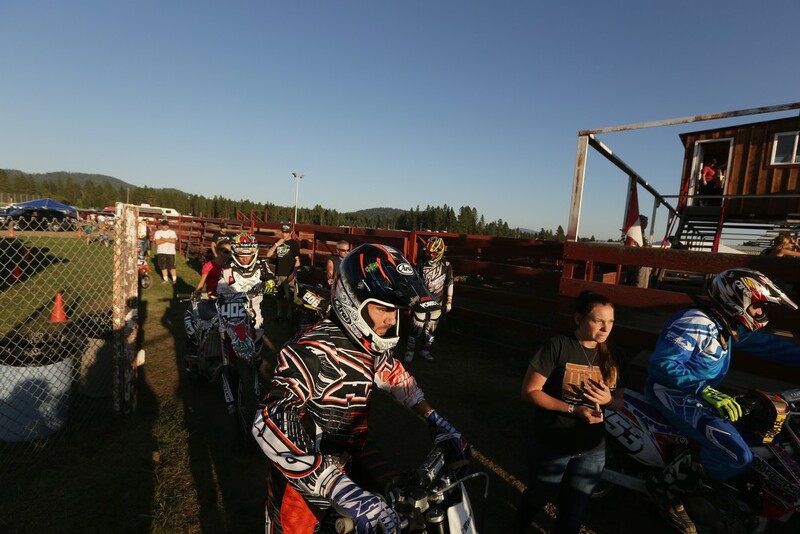 Women's amateur rider Angelique Wetherelt (13), from Post Falls, Idaho, takes a turn in a Moto 1 race. 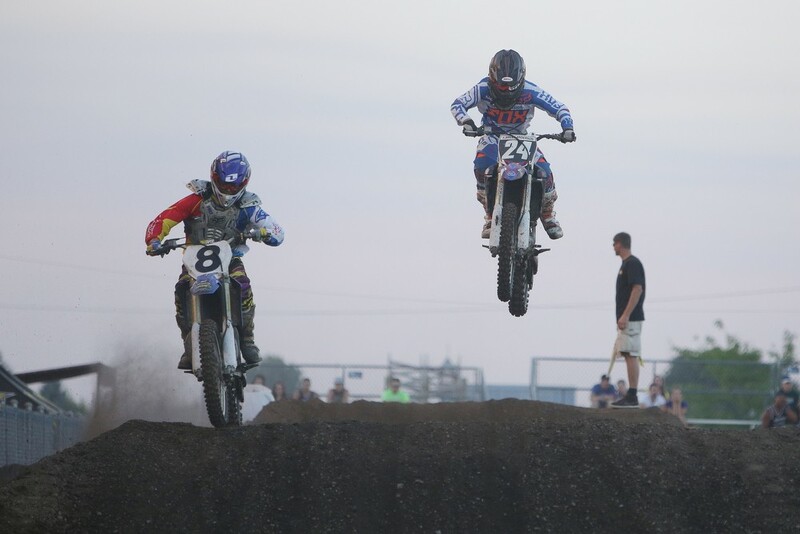 250 cc junior amateur rider Derek Donoian (8), from Rathdrum, Idaho, and 15 year old 250 cc intermediate amateur rider Riley Anderson (24), from Kila, Mont., take a jump in a Moto 1 race. 9 year old Ethan Dana, left, and his father Brett watch a race. 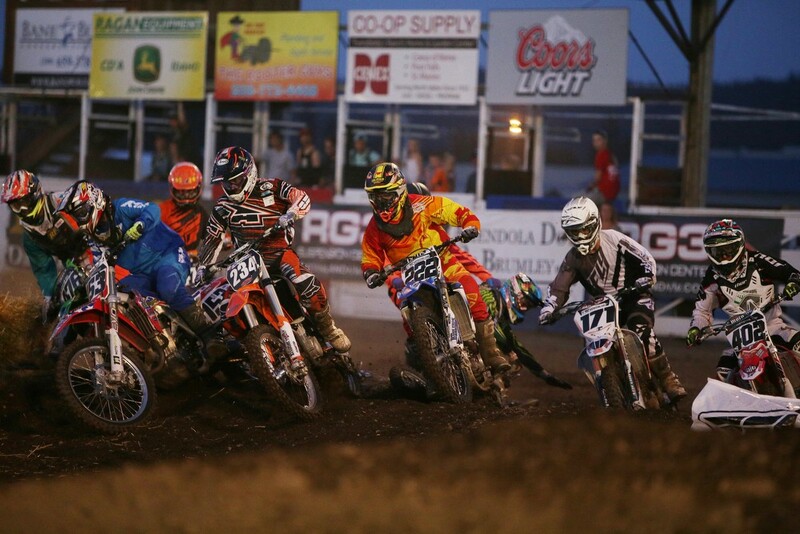 450 cc pro riders take the first turn in a Moto 1 race. 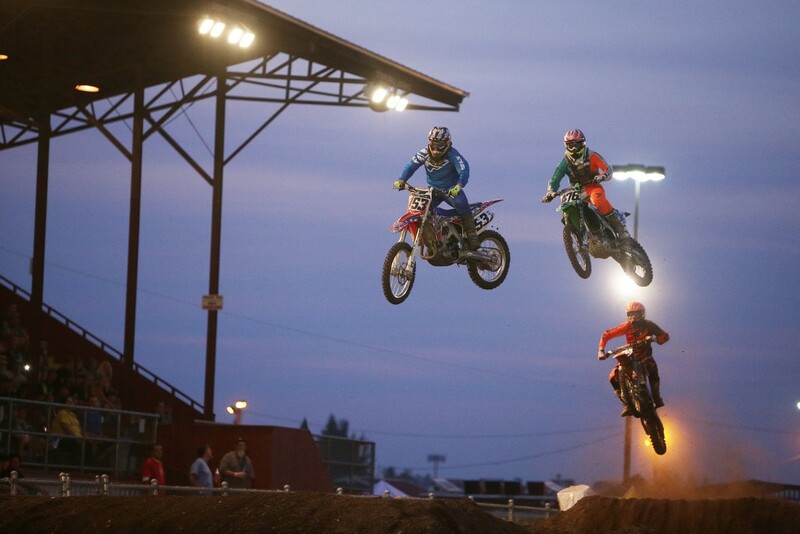 450 cc pro rider Ryan Abrigo (402), from Sultan, Wash., takes a jump in a Moto 1 race. 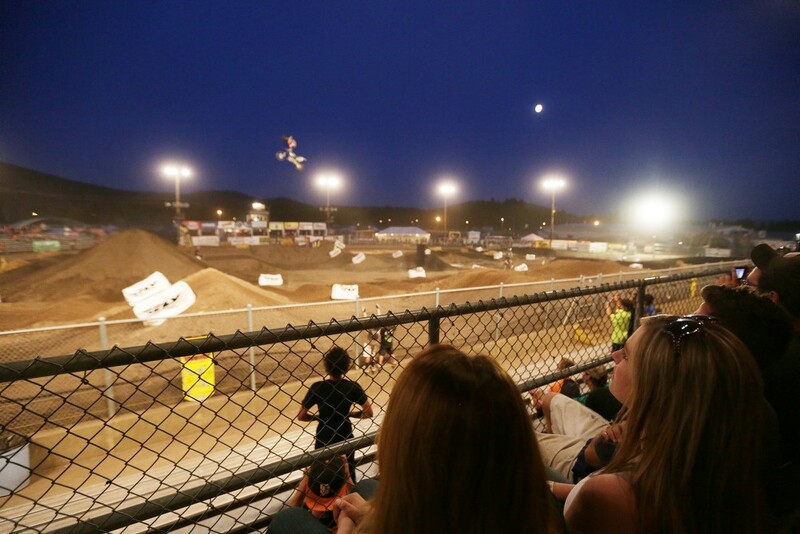 Ashley Wiedenhoff, right, watches Metal Mulisha freestyle rider Jimmy Hill perform. 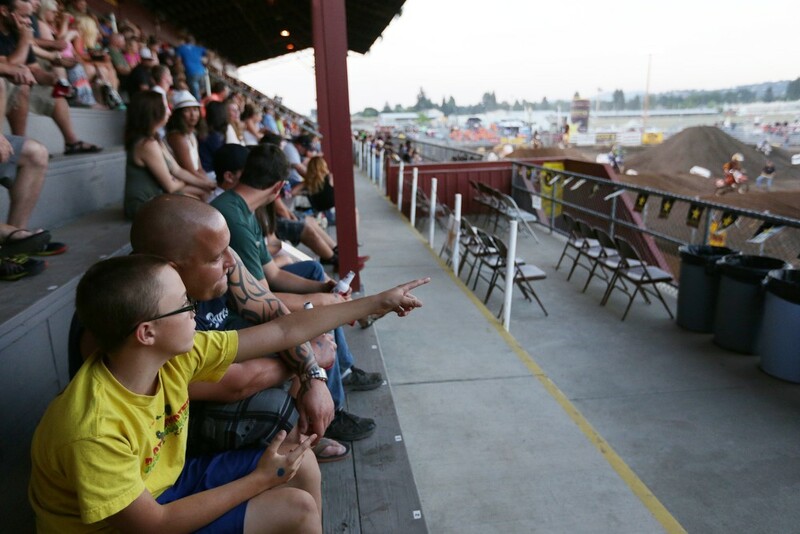 450 cc pro rider Noah McConahy, left, from Spokane, Wash., and 450 cc intermediate amateur rider Sebastion Lave, from Post Falls, Idaho, watch a Moto 2 race. 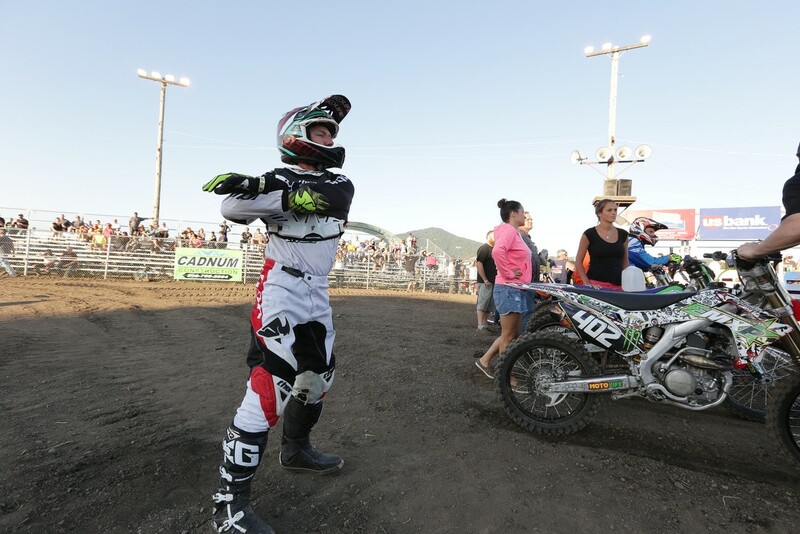 450 cc pro riders Noah McConahy (131), from Spokane, Wash., and Collin Jurin (476), from Monroe, Wash., take a turn in a Moto 2 race. 10 year old 70 cc little girl amateur rider Olivia Dixon, left, holds her 2nd place trophy as her father James loads her bike onto their truck after the 14th Annual Moto X.